Batteries placed on the market in European member states shall be compliant with the specific battery directive. OEMs, manufacturers, importers, distributors and e-commerce businesses shall ensure when arranging WEEE compliance that batteries are also compliant. Our world is nowadays full of connected devices, giving rise to the Internet of Things (IoT) with many developments to come such as ‘connected’ clothing, electric cars, ‘connected glasses’, advanced smartphones, etc. Our devices - large, small or miniaturized – are designed to carry as much technology and intelligence as possible but still need electricity to work and perform their functions. Although sources of electricity are expanding thanks to renewable energies such as solar energy, our economy still relies on power systems and batteries to assure the autonomy of the many devices and equipment we use every day. Energy storage system technology evolves constantly to make batteries and accumulators more efficient as well as reducing their size, from lead-acid to alkaline, nickel-zinc to nickel-cadmium, nickel-metal hydride to lithium and lithium ion batteries. Depending on the industry application, the performance requirements, battery autonomy and miniaturization, battery manufacturers have to adapt to the specific needs of industry and OEMs. During end-of-life management, notably within treatment and recycling sites, the presence of batteries and accumulators complexifies the treatment, depollution, dismantling and recycling of devices. Although treatment operations are carried out in state-of-the-art facilities, the sheer variety of materials can compromise compliance. Lithium batteries are an explosion risk when shredded or through leakage due to damage. During the last 5 to 10 years, many fires have occurred at treatment and recycling centers dealing with large quantities of lithium batteries. Treatment centers cannot always extract 100% of the batteries concealed in the thousands of devices discarded every day and a small quantity will always go through the shredding process, increasing fire risk. Implications for OEMs, importers and e-commerce platforms in terms of their statutory obligations? In the early 90’s, the EU issued a specific directive relating to batteries (and accumulators) in order to reduce the production of certain types of potentially dangerous batteries (hazardous materials) as well as to set the rules for fair and environmentally-friendly treatment of waste batteries. 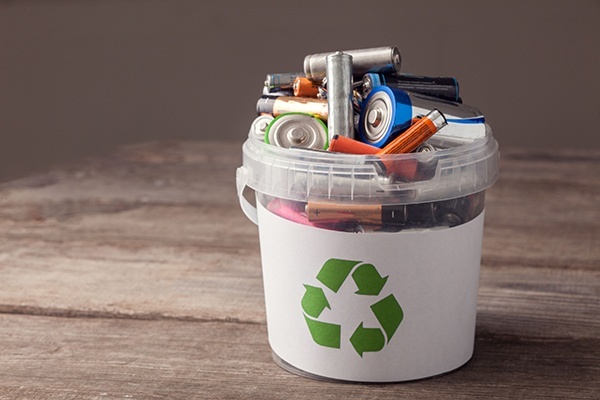 The directive prohibits specific materials when placing new battery types on the market and sets targets for member states with regard to collection rates as well as treatment and recycling requirements. Obligations under the battery directive are independent from WEEE directive obligations although they are similar in terms of the administrative and financial requirements. New batteries or accumulators placed in a new device must be reported to the authorities and this contributes to financing of the collection and treatment of equivalent end of life batteries and accumulators, as with Waste Electrical and Electronic Equipment (WEEE). Battery and accumulator producers are required to register in each country where they sell, to report quantities and weights placed on the market and to finance the compliant treatment of equivalent end-of-life batteries and accumulators. The manufacturer or OEM integrating the battery or accumulator within the device assumes the responsibility to establish battery compliance as well as WEEE compliance. The company which first places the battery or accumulator on the national market is required to establish battery compliance. In order to support companies with these requirements, compliance schemes exist to provide appropriate services. Where multiple compliance requirements need to be established in multiple countries simultaneously, it is possible to merge compliance into a one-stop solution or compliance and recycling hub.